Sorry I have been gone too long. I am currently under a major change in my life and I am freelancing, which means I have more jobs than usual. Anyways, one of my jobs is to write articles for various websites. I have been really stressed out by too much writing that requires research. It’s a good thing I have music to keep stress away. These days, I have been listening non-stop to Orange Caramel’s Japanese album. I rarely listen to Japanese albums produced by Koreans, but this album is just so much fun! Besides the Japanes version of their popular KPOP songs (Magic Girl, Aing, Shanghai Love, Bangkok City, Lipstick) there are a lot of other songs I like listening to. I particularly liked Lizzy’s solo すっぱい葡萄(Lizzyソロ曲) because it is so Japanese! 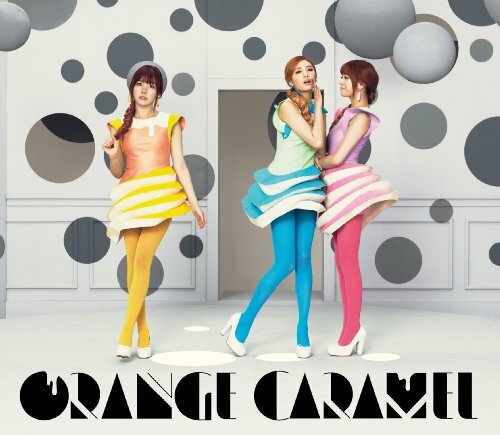 If you guys are not familiar with Orange Caramel, you would not even know they’re Korean because the album is so Japanese! I can’t explain it, but the Japanese music is definitely different in terms of sounds and the use of instruments. There also isn’t a lot of autotune, which is present in the Korean music. Anyways, please enjoy this album and give it lots of love. It was released a long time ago (March) and I regret listening to it just now. Posted on 3 May 2013, in Sound Trip and tagged album, Japanese, Korean, music, Orange Caramel. Bookmark the permalink. 2 Comments.